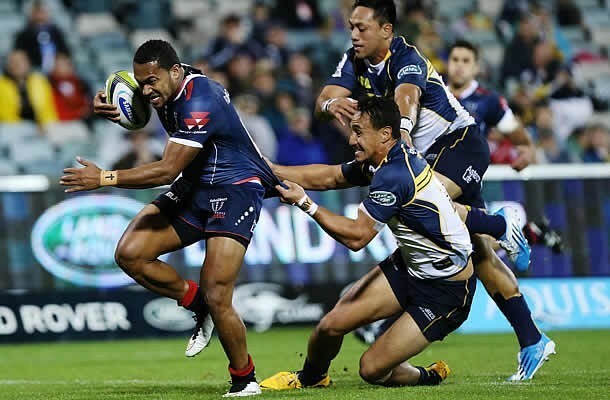 Melbourne based Super Rugby side the Rebels have signed rookie Sefanaia Naivalu on a deal that will keep him playing for the franchise until at least the end of the 2017 Super Rugby season. ‘Sefa’, who made history as the first ever player to sign for the Rebels directly from the Dewar Shield (Victoria’s premier Club Rugby competition), has featured in all nine of the Rebels’ games in 2015, starting the last four matches and scoring two tries in the process. Rebels’ Head Coach Tony McGahan is pleased with the growth of Naivalu already this year, which has seen him adapt to the professional game quickly. “We’re in no doubt that Sefa has all the attributes to continue to contribute at this level, but we have allowed him to take his time to settle into the program,” McGahan said. “His continual improvement has allowed him to be selected each week in the matchday 23, and has also made him a real crowd favourite at AAMI Park. For Sefa, the chance to extend his contract with the Rebels was one he was quick to take advantage of. Naivalu has tasted victory in Canberra, Christchurch, Melbourne and Perth with the Rebels, and is starting to feel more at home playing in the world’s toughest provincial competition. “I feel more comfortable at Super Rugby level now,” he says. “Back in Round One when I made my debut off the bench in Christchurch, I had confidence in my ability but I hadn’t tasted the intensity of Super Rugby before; now I am more used to it. Naivalu paid particular tribute to an experienced teammate who has gone the extra mile to help him settle into the demands of being a professional Rugby player. “Tamati Ellison has really helped me, and I love playing with him,” Sefa said. The Rebels host the Chiefs at AAMI Park on Saturday.